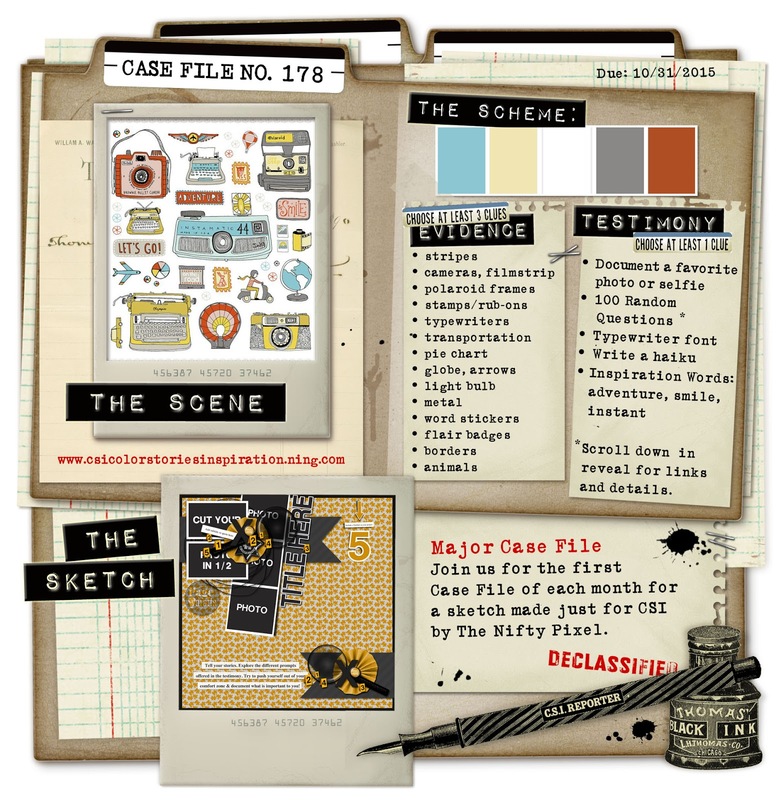 CSI mastermind Debbi Tehrani has put together another intriguing Case File to inspire us. From the Scene, she has pulled the colour scheme, ideas for design elements and journalling prompts. There is also a fabulous sketch from Em Stafrace at The Nifty Pixel. 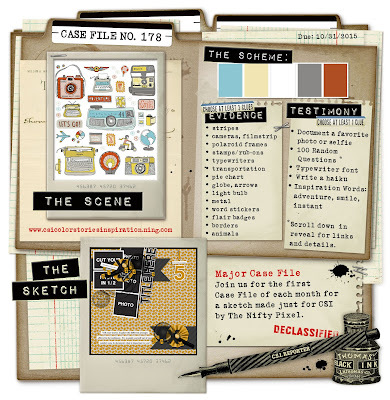 Use these clues to solve the case by making a scrapbook page using the sketch, all five colours in the Scheme, at least two items of Evidence and at least one piece of Testimony. Then just post your page over at CSI and you'll be in with a chance of winning one of those lovely prizes. As this is the Major Case File for October, you have a whole month to complete your mission too! OK. This is obv meant to 'test my metal' - I'm not going into any challenges this month! My scrappy mates are laughing in their socks saying there's no way I can do it....so, this Aries has gotten all stubborn and will NOT be entering challenges. Dang it. This looks a fabulous prize on a fabulous case file......but I can't weaken on Day 3 of the month, now can I? Can I?!!!! !